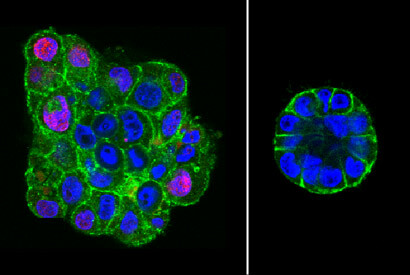 Did You Know That Breast Cancer Cells Can Also Give In To “Peer Pressure”? There’s been a lot of discoveries introduced lately about cancer, its cause and potential cure. It is, however, strange to know that its proliferation can be influenced by its surrounding environment. Sounds like “peer pressure” right? They found out that exerting mechanical pressure to the breast cancer cells forces them to return to its normal state (Healthy Breast Tissue).The results of their research were presented to the annual meeting of the American Society for Cell Biology in San Francisco. Please Join the First and Only Online Nursing Informatics Forum! What is Nursing Informatics According to Social Media? Please Click Enter…The Doctor is now Online.